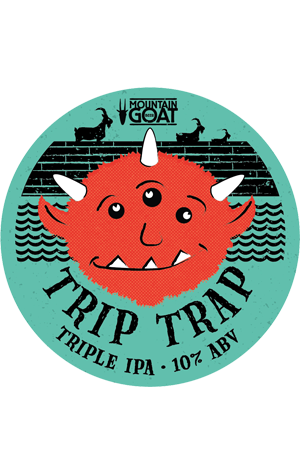 Mountain Goat have made heaps of IPAs over the years in pretty much every way imaginable. But we're not sure they've ever brewed one as big as this. Trip Trap is a beer that layers it on thick: 100 IBU [in other words, heaps] of American hops and 10 percent of booze. Described as "delightfully bitter" by the people responsible for it, we're told it pours a "deep golden with a slight red tint" and possesses an "intense hop aroma of citrus, tropical fruit and pine". It's keg only, so if you like your beers on the large and hoppy side, hunt one down quick.